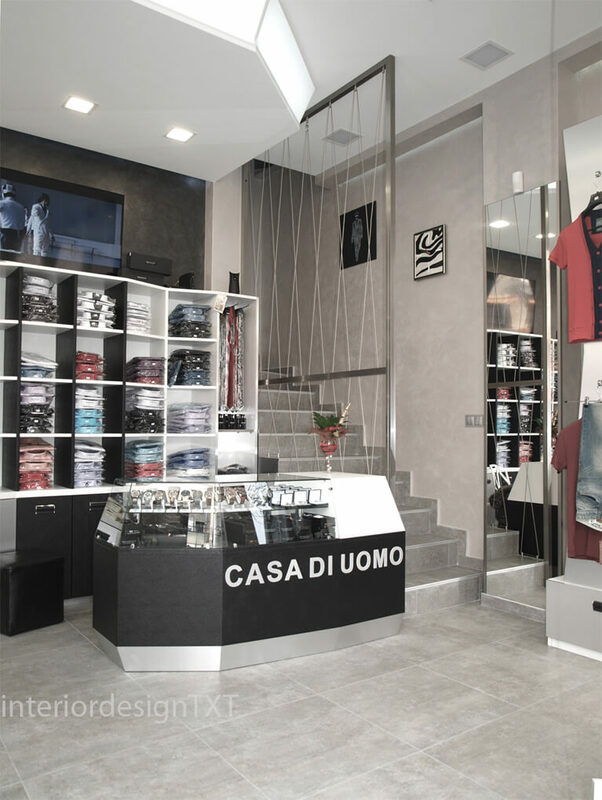 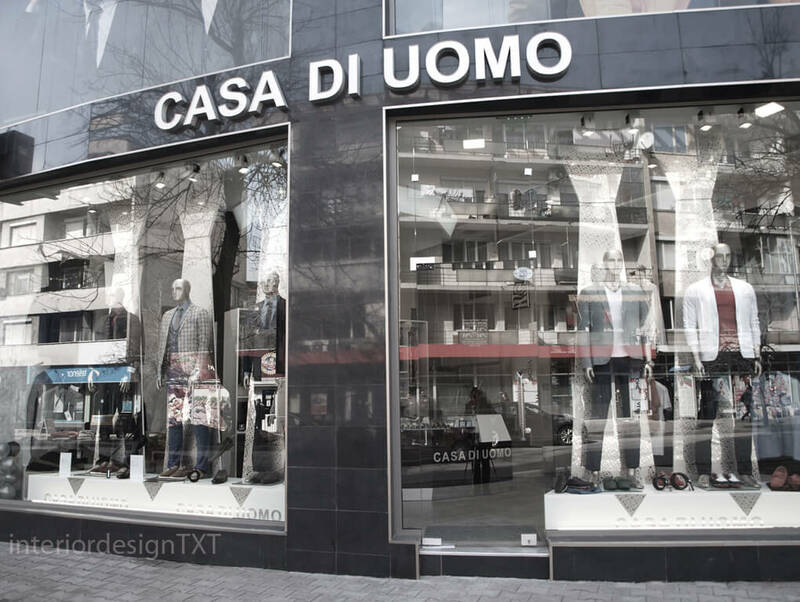 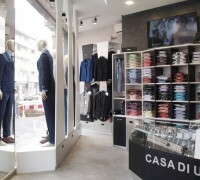 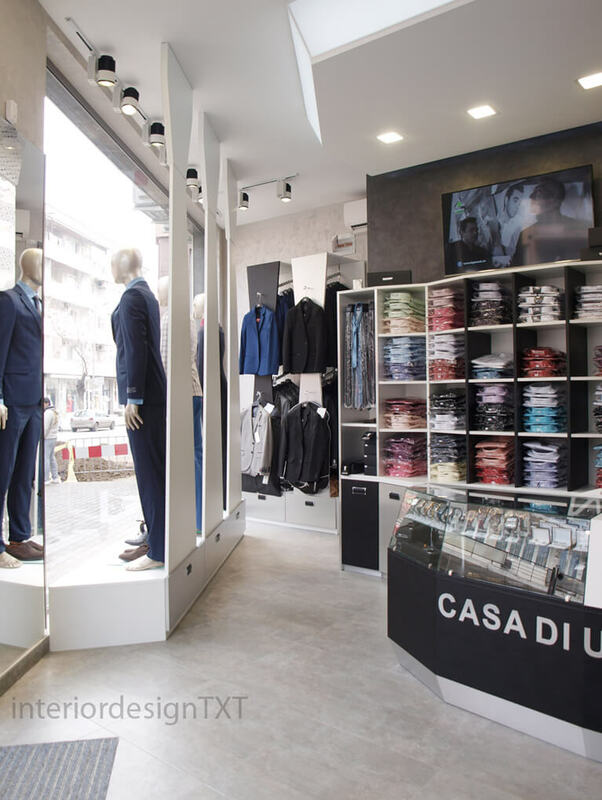 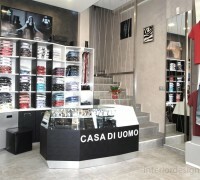 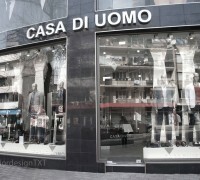 The store sells luxury men’s fashion. 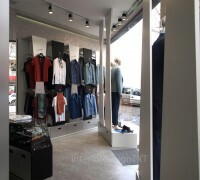 It is located in a new interesting and modern building. 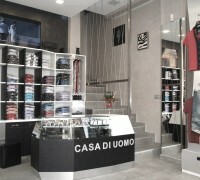 The store has two floors. 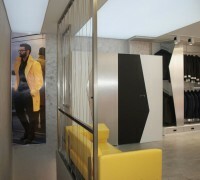 The shape of each floor is connected to an asymmetric architecture of the building and has two sharp corners. 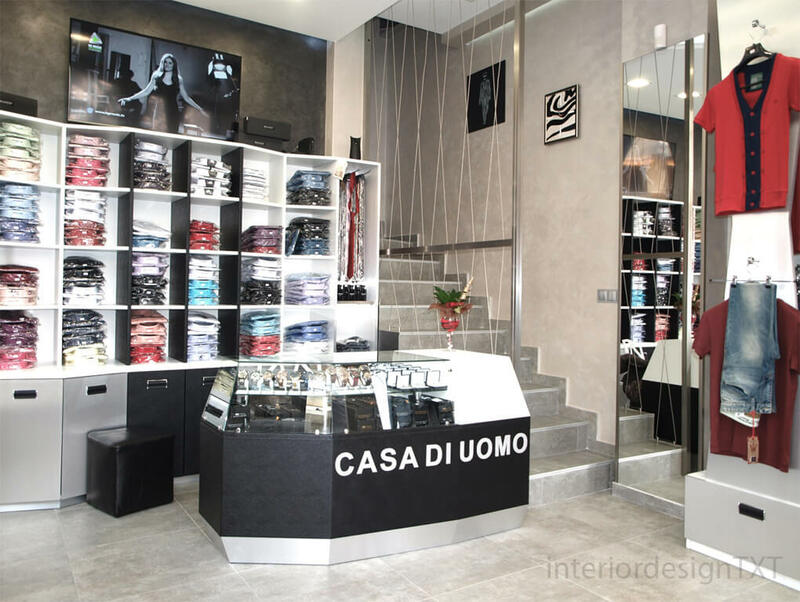 That and the main purpose of the store defined the basic design concept of the interior, which as a result, is also inspired by the crystal and diamond shapes. 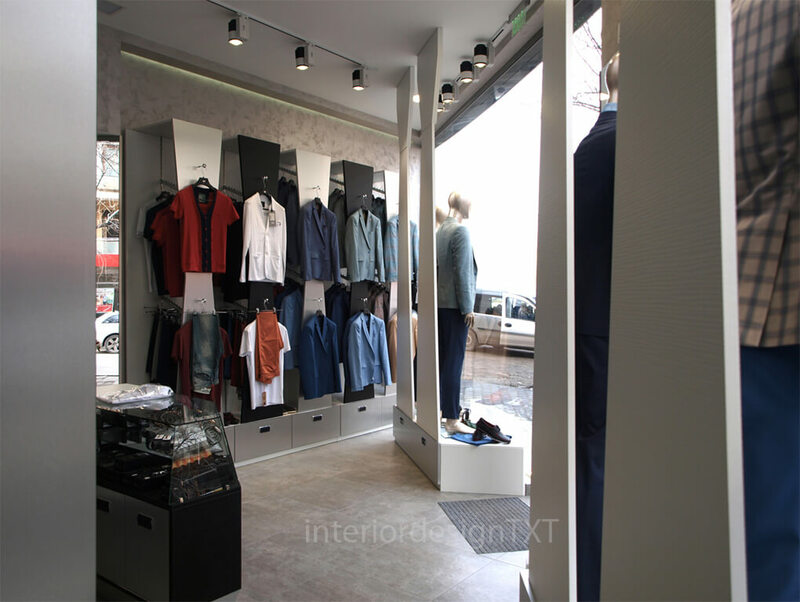 At the same time we managed to strictly keep to our client’s requirements for the amount and manner of arranging the clothes, as well as thinking about the customer’s cosiness when shopping and sampling. 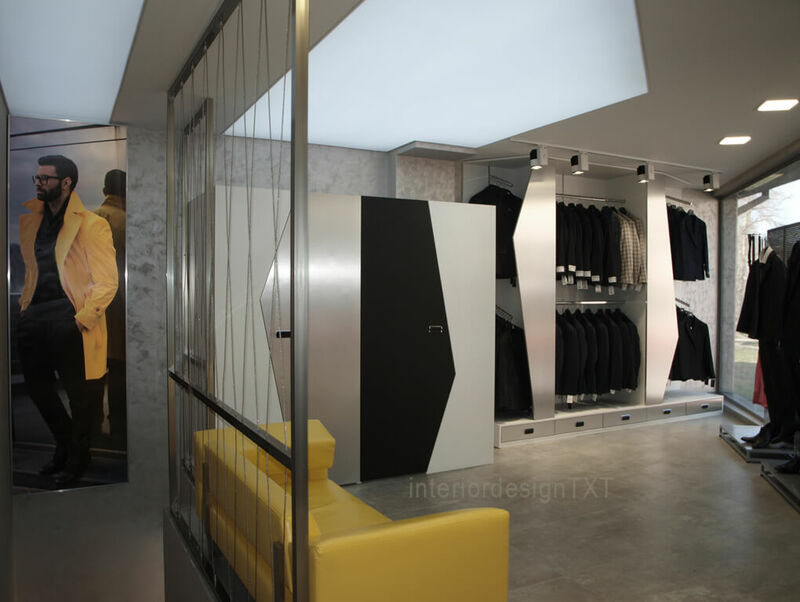 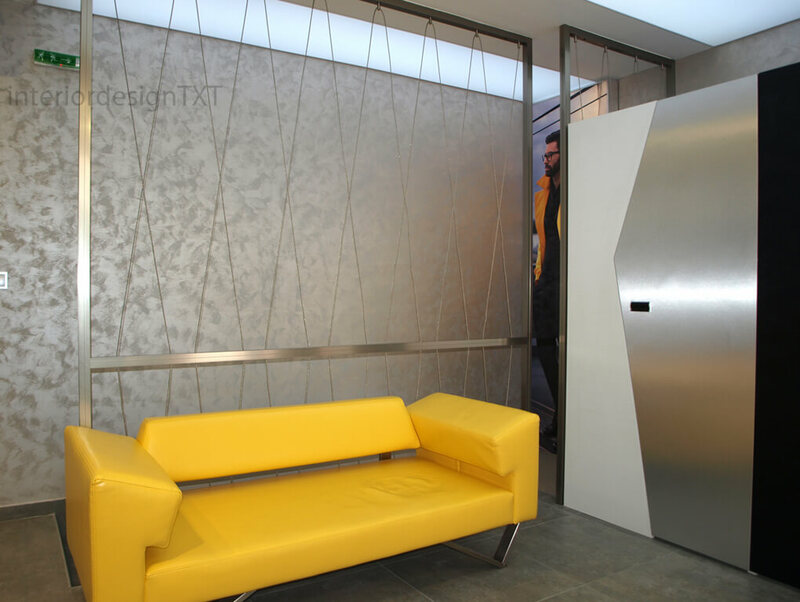 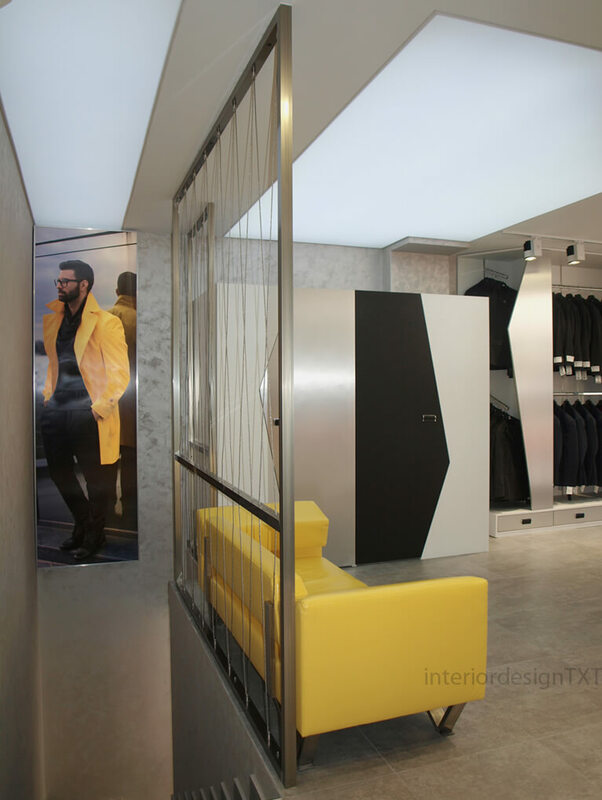 Unconventional interior design, usability and functionality were accomplished in symbiosis with this store interior.